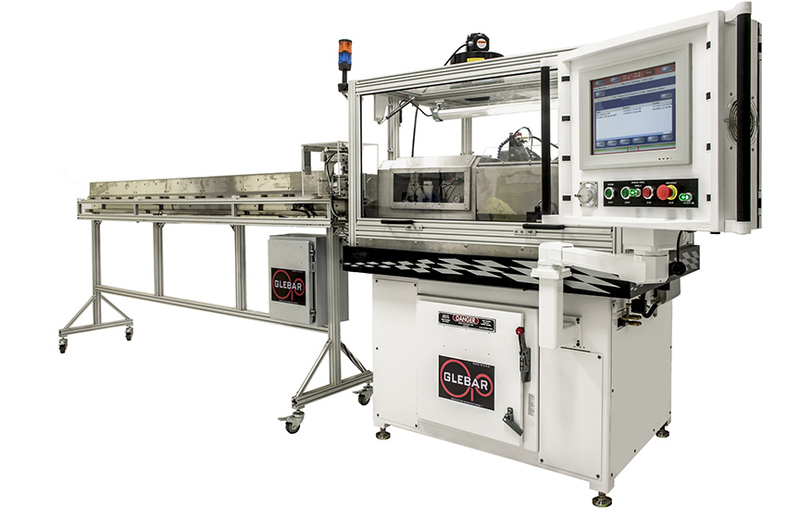 Glebar eliminated pre- and post- processes by incorporating them on a CAM.2 machine in one operation. Wire can be supplied in cut form or can be loaded on the machine on a spool. Automation on the machine measures and cuts the wire to length, when supplied from a spool, corrects any inaccuracies automatically, grinds both distal and proximal shapes, then cuts the wire to final length, allowing for a one-machine, hands-off solution. Note: Glebar has sold hundreds of guidewire machines and has consistently met the production needs of some of the largest medical companies in the world.